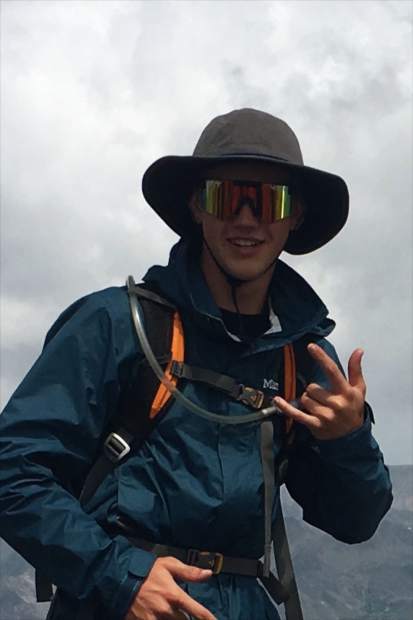 Wyatt Nelson serves as a youth adviser for Communities That Care, a state-funded process led by the Eagle River Youth Coalition, Eagle County Public Health and dozens of community leaders and agencies. Wyatt Nelson might be best known for his athletic feats, yet this accomplished student-athlete crossed my path through his selfless community engagement. Nelson is finishing up his junior year at Battle Mountain High School and just recently landed a fifth-place ranking in the state for pole vaulting. Nelson credits much of his athletic progression to the strong influence of older student-athletes. “I saw how accomplished my older peers were both academically and athletically, and it made me strive to push myself harder,” he said. From a broader perspective, we know that youth engagement in pro-social opportunities, such as sports and volunteerism, offers young people a huge boost. These assets help build character and resilience, and Nelson has no hesitation paralleling the competitive spirit he has on the field to pushing him to achieve success in other realms of his life. Recently, the local Communities That Care initiative, a state-funded process led by the Eagle River Youth Coalition, Eagle County Public Health and dozens of community leaders and agencies, recognized that pro-social involvement is the primary protective factor, or strength, throughout youth in the community. It is no wonder that Wyatt Nelson was nominated to serve as a youth adviser for Communities That Care, even before this finding. Nelson and 10 fellow young leaders ensure the youth voice is strong in all aspects of the project. They provide honest insight into the challenges and benefits of growing up in the valley and have selected strategies such as incentivizing youth advisers in various community roles to help boost youth leadership in systems and policies. “Being able to give my insight and discuss possible solutions to confusing and delicate problems with other board members, I am able to be a part of making the community a stronger place,” Nelson said. In broaching the subject of his future, Wyatt hopes to positively influence younger peers in the way that others have influenced him. He wants to show that even those without as much natural talent can achieve success through hard work and dedication. In the nature of his competitive spirit, Nelson is determined to see his hard work pay off, whether on the field, in the classroom or in his community endeavors. Michelle Stecher is the executive director at the Eagle River Youth Coalition.